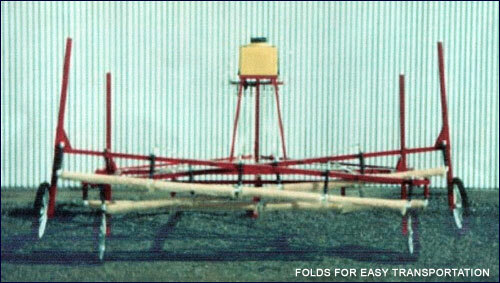 - Small corn or any row crops, solid seeded soybeans, cotton, sugar beets, CRP, wheat, specialty crops, bermuda grass, turf grass, hay, pastures, etc. - Sericea lespedeza, musk thistle, hemp dog bane, milk weed, mares tail, canadian thistle, horseweed, tall water hemp, wild rye in wheat, volunteer corn, johnson grass control, red rice, etc. 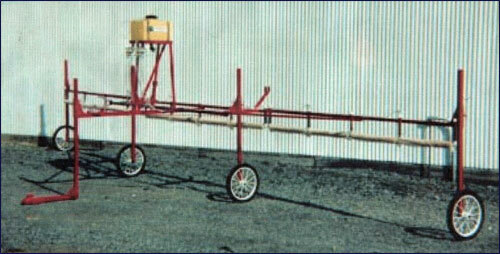 ADJUSTABLE HITCH FOR ROW OR SOLID SOYBEANS, HAY CROP, ETC.